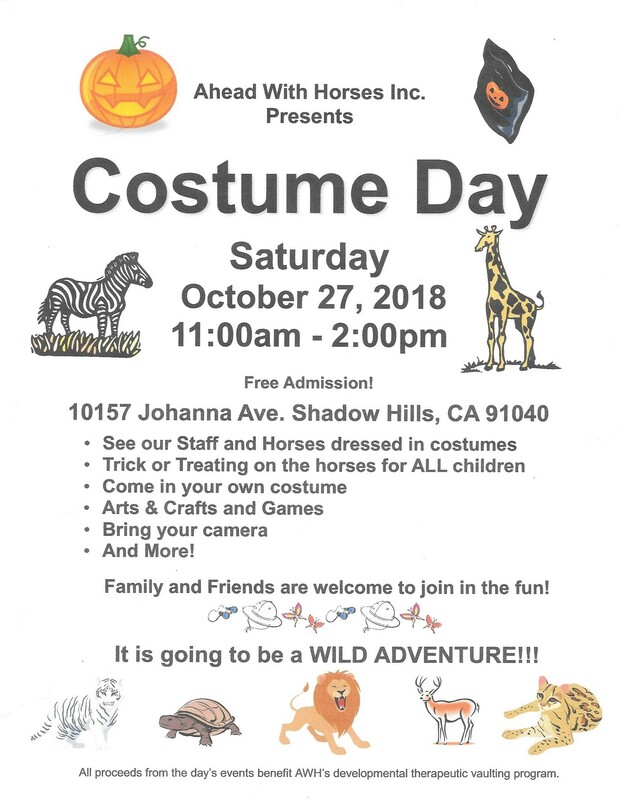 On Costume Day, all of our students are invited to come and bring their friends and family, as well as the general community, and celebrate with the AWH horses and staff. All of the horses are dressed in costume, as well as the staff and volunteers. We have trick-or-treating on the horses, games, arts & crafts, a snack booth and more!